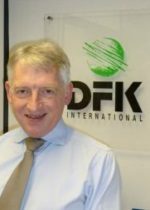 A strategic alliance between leading independent accounting associations DFK International and AGN International has been expanded with the addition of MSI Global Alliance, the first to join Global Connect since it was established as a new collaboration between DFK and AGN in January 2018. Global Connect was launched to provide members with greater resource and coverage to best serve the international business needs of clients, while continuing to operate independently. MSI, an association of 260 legal and accounting firms in 100 countries, is part of an expansion to bring in other professional disciplines, Global Connect announced. MSI is similar in size and geographic reach to DFK and AGN. DFK has 220 member firms in more than 90 countries, and AGN has approaching 200 member firms in over 80 countries. All three associations are headquartered in London. Martin Sharp, executive director of DFK International, and Malcolm Ward, CEO of AGN International, said MSI was an obvious choice as a first partner. Sharp says, “Clients of our member firms often seek legal support when moving into other jurisdictions and MSI Global Alliance gives us a step into the legal market, as well as increasing our coverage of accountants. The success of Global Connect in the first year has exceeded our expectations.” He says the connections have resulted in at least one referral a week.